Do you remember those crap author jokes you'd see in joke books as a kid? Fake books, where the writer's name would be a pun - like Get Rich Quick by Robin Banks. Well, we've got a real-life version of that, only with an ironic twist. 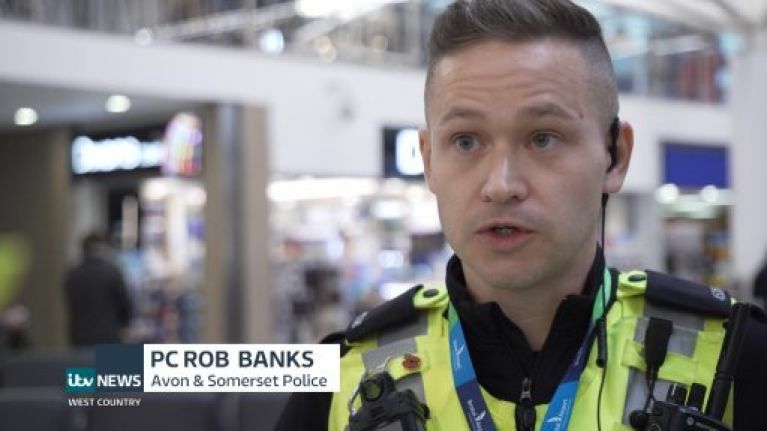 A policeman called Rob Banks has become an internet hit, because his name is literally 'Rob Banks'. He appeared on a special edition of ITV News West Country, about the Avon and Somerset force. Someone took a screenshot of him, and internet fame quickly followed. That's..... well, that's it. That's the whole joke. His name is Rob Banks, but he is a policeman so he doesn't rob banks, it is his job to stop people who rob banks. Look, the world is a bit of a mess at the moment, ok? Just let people have their fun with a policeman with a funny name. If you want to watch the whole episode and watch Mr Banks in action, it is on Facebook here.